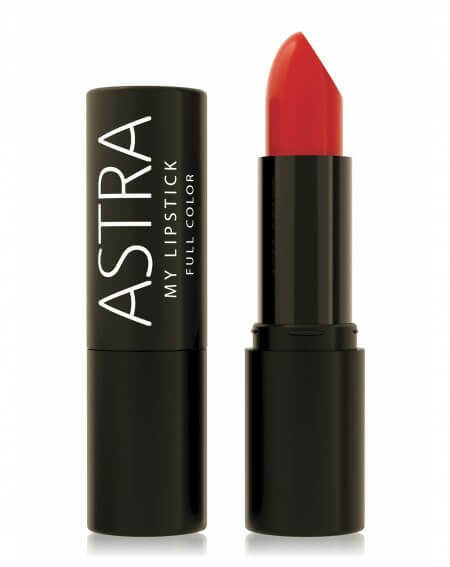 Stick and stylo lipsticks with full color and enveloping texture, liquid lipsticks in vibrant and velvety tones: discover the lipstick collections of Astra Make-Up. 24 shades to try. The super-comfortable creamy lipstick that gives the lips full color and a satin effect. The new lipstick that sculpts and volumizes in just one move. Immediate sculpting volume effect. Dermatologically tested mat-finish lipstick with 8 hours of uniform color. No smudging, perfect color. Light and soft, feather effect lipstick. Extreme brilliance, velvety color and volume effect. Two-step vinyl effect lipstick: long-lasting liquid lipstick and gloss top coat. Hydrating, volumizing and ultra-pigmented.